Pick up any home improvement magazine and there will be an article about the importance of selecting quality craftsman and tradesmen, but doing this is imperative when dealing with audio video, security and alarm contractors. I’ve been in this industry for 24 years, and I’ve seen a lot of shady dealers come and go. There are few industries that have such opportunity for dishonesty. If you hire a landscaper to do a project, you can see what you have paid for. If you hire a painter to paint a wall, you can see the work and assess the value. But if you hire someone to put speakers in the ceiling, do you know what model number was actually installed? Last year, I proposed Klipsch in ceiling speakers for a project, per our clients request. A competitor created a comparable proposal showing Klipsch speakers with a heavy discount and earned their business. Several months later when that dealer was unresponsive, we were asked to service the system and upon inspection we found that the speakers were a no-name Internet knock off product, that sells for about 1/7 the cost of the proposed speakers. Over the years I’ve seen the same situation with cameras, alarm components, automation equipment, and computer network hardware. It’s sad but it is the truth – once installed, you cannot see the model number on many products, and this gives a dishonest person an opportunity to cheat you, and they may. Be careful! With most industries it is possible to inspect the work, and confirm that you have received the products and services that were agreed on. There are other industries where that is simply not the case. Check references and make certain that you’re doing business with a reputable A/V and alarm company. 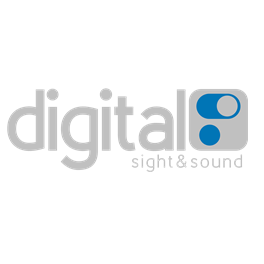 If you want an estimate on your next project, give Digital Sight & Sound a call at 317-848-0101.